Helen Grimshaw was born in London but her upbringing was in Surrey. Her father was a civil engineer working for one of the electrical supply companies and presumably fairly prosperous as the family had 3 servants during her childhood and she was educated at a private girls’ school in London, the Frances Holland School. In 1924 she became an engineering student at the University of London and applied for student membership of the Institution of Civil Engineers, becoming one of their associate members the following year. She graduated from UCL in 1930 with a BSc (Special) Engineering and re-entered to spend the following year doing practical training in the engineering workshops. Ethel Bailey was an American mechanical engineer working from about 1917 to some time in the 1950s. As well as her active membership of the Women’s Engineering Society (WES was the only such society worldwide during most of her working life) she is understood to have been one of the first women to be admitted as a full member of the American Society of Automotive Engineers (SAE) and was also a member of the American Society of Mechanical Engineers, the Society of American Military Engineers, and the National Society of Professional Engineers. 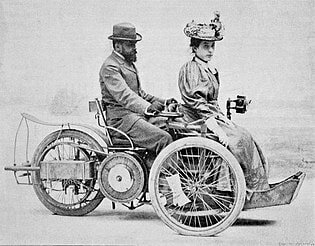 Madame Carlotta Bollée might be considered to be amongst the ranks of women of her era who were “engineers by marriage”, as she was married to early automobile designer Léon Bollée, who was from an old and large family of engineers. We know nothing of her background or when she married Léon, but she was born in Vastizza, a rural area near Patras on the Gulf of Corinth, Greece, renowned for its currants. However, our story starts in June 1908 when Wilbur Wright arrived from the USA with his plane. The Wright Flyer had been shipped to Le Havre by Orville the previous year, but had been seriously damaged when it arrived in France and was uncrated. Wilbur spent the whole summer of 1908 rebuilding the machine and getting it into flying condition. Hence the invitation to stay with the Bollées, whose reputation as friendly and hospitable made a great impression on the Wright family. Léon had offered him space in his well-established car factory to re-assemble and repair his aeroplane and was also making him two aeroengines. Wilbur and Orville Wright’s famous first flight had been at Kitty Hawk, USA in 1903 and the trip to France was largely to demonstrate the safety and reliability of their plane. Today we remember Rita de Morais Sarmento, Europe’s first female professional engineer, on the 88th anniversary of her death. Rita de Morais Sarmento was the first woman in Europe to obtain an engineering degree and professional certification (Alice Perry (UK/Eire) having gained hers in 1906). Rita obtained her degree in 1894 and professional certification in 1896, from the Polytechnic Academy of Porto, in Portugal. She was the daughter of Anselmo Evaristo de Morais Sarmento, a journalist, publisher and printer and was educated in private schools and then, from the age of 15, at the Polytechnic Academy of Porto. Her two sisters were also pioneering science-oriented girls, but they did medecine, whilst Rita chose the Civil Engineering and Public Works course, which she completed in 1894. Today (and every day a tooth gets filled at the dentist) we remember Marie Gayler, metallurgist, on her 128th birthday. Marie Gayler was born in Bristol but lived most of her life in and around London. Her father was a senior civil servant, eventually the Director of Stamps and Excise, at Somerset House. Her mother, Ellen Amelia Chrismas, was an artist, a Gold Medallist of the Slade School, whose paintings were often exhibited at the Royal Academy. She and her sisters were also artistic. Somewhat surprisingly, given that money was obviously not too tight in this middle class family, it seems that she got a job as a ‘girl clerk’ with the London Post Office when she was only 16. She was educated at St Mary’s College school, London and in 1912 she gained a BSc in chemistry and mathematics from Dedford College University of London. From 1912-1915 she taught science at the prestigious Colston’s Girls’ School in Bristol but in 1915 she joined Walter Rosenhain's scientific staff in the Metallurgy Department of the National Physical Laboratory, where she would remain for the rest of her career. She and a physical chemist, Miss I. H. Hadfield, were the first women to be appointed to the scientific staff of the Department. Eily Keary, Naval Architect, was the first woman to have her paper read to the Institution of Naval Architects, 101 years ago this month. Keary went to school at Roedean and she was one of the earliest women to study Mechanical Sciences at Newnham College, Cambridge.She was appointed to the National Physical Laboratory (NPL) in 1915 by the superintendent, G. S. Baker and engaged in the design of seaplane hulls and floats. Her work led her to be elected an Associate Fellow of the Aeronautical Society of Great Britain (ASGB) on October 23 1917.A contemporary at NPL later credits her with the design of the floats for a Schneider Trophy winning seaplane. Today we remember Muriel Barker, mathematician and aerodynamicist who was born in Nottingham where her father was in the textile industry as a veiling manufacturer. She was educated at the Nottingham Girls High School where she was fortunate to have access to one of the most modern and well-equipped science teaching laboratories available to girls schools in that period. She won prizes in each of her upper school years often for German as well as maths and chemistry and many other girls also seemed to excel at maths and science so it was apparently an ideal environment for her talents. She went to Newnham College, Cambridge, as a College Scholar, to take the Maths Tripos, graduating in 1915. Gwendolen Sergant, known to friends as Bunty, was born in Sussex in 1926, into a family that was immersed in engineering. She was involved from an early age in her father’s agricultural engineering works as well as a refrigeration engineering works, and learned blacksmithing, fitting and welding before she left school. She went to Loughborough College in about 1943 and survived a gruelling week-long mathematics entrance test but her studies were interrupted by her father losing his sight. She resumed her studies doing an apprenticeship with the Rheostatic Company, Slough, which later employed her as a technical assistant, gaining an HNC and BSc in mechanical engineering. In 1948 she moved to the industrial design unit of Thorn Electrical Industries, to design fluorescent lighting. Caroline Maude Davis was born in Yorkshire was probably educated in Sussex where her family lived for a while at the turn of the century. Her father was initially an indigo dyer but her mother’s family were ironmongers and by 1911 they were all living in Walsall where her father had become an ironfounder. The company, of which he became chairman of the board, was William Trow & Sons Ltd in nearby Wednesbury.There is no record how he moved to the iron industry but a connection via his wife’s family seems likely as her father was an ironmonger. Today we celebrate Engineer of the Week No.21, Beatrice Shilling, on her 110th birthday. 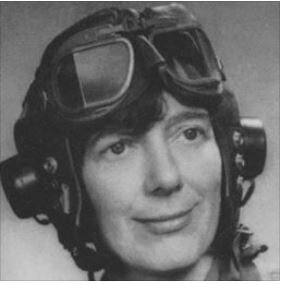 She is principally celebrated today for her WW2 role in solving the carburettor problems of the Rolls Royce Merlin engines used in the Spitfires and Hurricanes, leading to her invention of the “RAE Restrictor” or, less officially, “Miss Shilling’s Orifice”. As the Christian period of Lent approaches we remember Engineer of the Week No. 19, Hypatia ( c.350-370 to 414CE), who was killed during Lenten riots. Was Hypatia the first woman engineer? Perhaps not as we would define an engineer, but the mathematician still has an interesting story. Whilst this is often a problem for histories of women even from the 20th century, we have to concede that actual facts supporting any claims to Hypatia having been an engineer are thin on the ground. Her birth dates range from c.350-370CE but it is a fact that her father was Theon (c.335–c.405CE), an Alexandrian mathematician and philosopher, known for his edition of The Elements of Euclid. It is fairly sure that she was a pagan in the era when Christianity was rising. She was a teacher, philosopher and even political advisor. Evidence for this last activity comes from the only person who actually knew her and from whom any writing survives: Synesius of Cyrene (c.373–probably 413), who was one of her Christian students in about 393 CE. Engineer of the Week No.10. Today we remember Ella Mary Collin BSc, PhD, FRIC (15 July 1903 - 1st February 1973), Past President of WES, who died 46 years ago on 1 February 1973. Ella M. Collin was born in 1903 in Essex into a modest working class family. 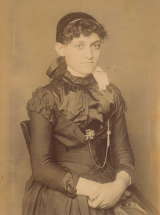 Her father, Walter George Collin, was a travelling salesman and later a printer. Collin became a metallurgical chemist having gained a BSc in chemistry from Kings College London and a PhD in metallurgical chemistry from the University of London: in electrolytic analysis for determination of impurities in ores. This week we remember a remarkable Yorkshirewoman who ran her own quarry and invented an artificial stone, Mrs Anne Greaves (1889- c.1948). 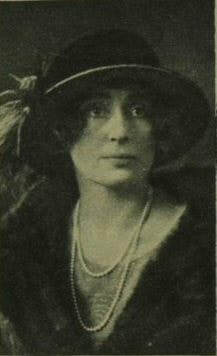 Anne Greaves was born Annie Harris in 1889 in Goole, Yorkshire. At the age of 20 she married Somerton Greaves and had her sons Eric and Raymond soon after. In the 1911 census she was recorded working as a confectioner and it is not clear from documentary evidence when she started to run quarries. It is certain that she was already well-established as a quarry manager in 1925 when she became the first lady member of the Institute of Quarry Managers (now the Institute of Quarrying). In 1926 she was leasing 9130 acres of land at Weeland, Hensall in the parish of Heck, Yorkshire, from the Church Commissioners and the Baron Deramore at £50 a year and may have been doing so for 7 years. This was the basis of her Weeland Sand Company, which was became a Limited company in 1933. The quarry produced sand, building stone and crushed stone, mainly for the road-building industry. The British Geological Survey described it as ‘Addingham Edge Grit’. Engineer of the Week No.8. Sheila Leather (17 January 1898 -27 January 1983) Today (27 January) we remember Sheila Leather who died 36 years ago today. 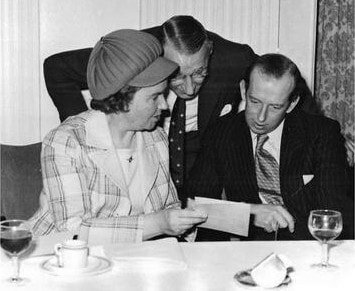 Sheila Leather was born in Cheshire in 1898 where her father was an analytical chemist. She went to Liverpool High School for Girls but little is known of what post-school education she had. Before the Second World War she was a Physical Training Lecturer at Hockerill Training College, Hertfordshire, having trained in the revolutionary Bergman-Osterberg method of exercise for women, almost certainly at Madame Bergman-Osterberg’s Dartford College. Rachel Mary Parsons was the daughter of Sir Charles and Lady Katherine Parsons. She was educated at a number of girls’ schools including Roedean and in 1910 went to Newnham College, Cambridge and was one of the first three women to study Mechanical Sciences, although she did not complete the full three years. This added the theoretical background to her early practical interest in engineering fostered by her family, her father of course being the famous inventor of the compound steam engine. Engineer of the Week No.6. Today we remember Anne Burns (nee Pellew) BSc ( 23 November 1915 - 22 January 2001), on the 18th anniversary of her death. Burns was an aeronautical engineer and glider pilot, who became the world expert in ‘Clear Air Turbulence’ and its effects on aircraft safety. She gained a 1st class degree in engineering science from Oxford University (1936) and then joined the Structures and Mechanical Department at the Royal Aircraft Establishment (RAE) at Farnborough, Hampshire (1940), as a scientific assistant, promoted to Principal Science Officer 1953. She became expert in 'flutter' and clear air turbulence. She was the first flight test engineer to use strain gauges and was involved in the investigations into the Comet disasters (1950s). Rowntree was born in Glasgow, where her father, Robert Stanley Rowntree, was then a ship’s draughtsman in Wallsend on Tyne. By the time that Dorothy was starting at the University of Glasgow he was a Surveyor for Lloyds' Register of Shipping. The family lived in a very nice house in Westbourne Gardens, in the west-end of Glasgow, during the time that Dorothy was at the university.